Drive-Master has a Manufacturing and Retail Mobility sales, installation and service facility located in Fairfield, NJ. We also have Mobility Dealers across the USA and Internationally who sell, install and service our Mobility Driving Modifications. For your convenience, enter your zip code below to find the Drive-Master Mobility Dealer location closest to you. 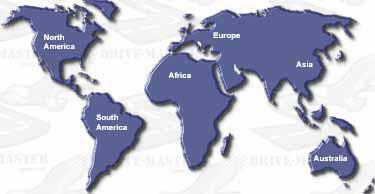 Drive-Master dealers are located nationwide in the United States and internationally. Our authorized dealers carry the full line of Drive-Master products and provide quality installations you expect from the Drive-Master Company. Please select your region.